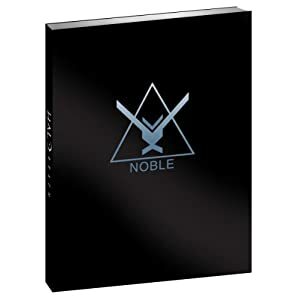 Noble Actual is not acutally dead! The new, last minute Reach Cover Art. A few days ago we released Halo: Reach to Xbox Certification. Assuming things go well in certification, that means the only things standing between you all and Reach are the manufacturing process and shipping the discs to stores. It’s been a long haul getting the game to this point but the team is incredibly proud of the game and can’t wait to play with everyone on September 14th. A few folks from Bungie will be travelling all over the world in the next few weeks to demo the game: Brian Jarrard and Niles Sankey are currently touring Europe, I’ll be headed to Oceania soon, and Chris Opdahl 'and David Allen will be taking Asia by storm in August. If you’re in those neighborhoods, look us up :) If not, you can at least watch the campaign trailer and the forgeworld vidoc one more time. What does this mean? Reach is done and dusted boys and girls! Hoorah! Halo Reach Achievement Points Released in Full! So here they are, finally the entire list of Reach gamer points revealed by Bungie. All 49 of the beauties! I like the sound of number 26,'that's a knife' which might a reference to the classic movie, Crocodile Dundee . The Ultimate Buy Halo Reach Stuff Page!! Pre order your copy of Halo: Reach online with Amazon. It’s simple as – clicking on this link and buying it. Of course you are only buying Reach early, not getting it early! ;) Now, go and grab the credit card! Heck why don't you get the limited edition Halo Xbox while you're at it! But wait! There's much much more!! Get Your Amazon pre-order links for the Wireless Reach Controller and the Wireless Reach Headset . Both these items are out on August 17 just prior to the actual game release. The controller comes with a code for a Banshee avatar for Xbox LIVE! Get on it!! Also remember there's that flash new Xbox Console that's Reach themed too! STILL MORE BOOTY TO BUY !!! I couldn't help but notice that Amazon is selling a Limited Edition Game Guide for Halo Reach . There's no reviews or anything yet as it's not released until September 3 but it's officially licensed so you can be sure it has the inside running from Bungie and Microsoft on all the game play details you need. There's also the standard version at half the price. Reflect in the perfection of Reflection! Reflect in the perfection of Reflection! A straight swipe from Grunts R Us, here a flash new pictures of three new Halo Reach multiplayer maps - Reflection, Spire and Zealot! Bungie approved Questions and Answers on Forge World. Thanks to HBO for the heads up, here's some more Bungie approved Questions and Answers on Forge World. It's epic in length! I flew around for a bit and mainly gibbered. It's just an interesting place to explore. In the vein of last night's QA thread, I'll see if I can field a few more Forge 2.0 questions. Two rules: only going to answer questions about the Forge, and only ones that haven't already been answered in the Weekly Update. First off, one that got asked a bunch last night was about "The Bump". I didn't miss the question, but I had to ask the experts. The Good News: apparently "The Bump" is diminished. The Bad News: but impossible to completely eliminate. That said, a lot of machinima props can now be set to "Fixed" physics, and that does completely eliminate any chance of bumping. Small question for Ferrex and I know you've had a ton, but the Blood Gulch part and the island, spire, colosseum and cliff all of it, or is there more? Those are the major landmarks, but it's basically all one contiguous space. There's beaches, a variety of good sized clifftops, lots of cliff faces (the Lockout remake is built in one of those in particular), so it's sort of misleading to say "there's five spaces". It's actually been kind of challenging to pick out a good spot to build some of the maps I'm interested in doing, mainly from a scenery POV. In Forge World, are there still items that have yet to be discussed? There's still a few neat objects we haven't explicitly shown off yet. Is their anything on callouts? Can you disable them for custom maps and stuff? Or even better place your own? Can't place your own, unfortunately. That was something we wanted to do, but didn't make it through the final trim and polish process. The tunnel in the rock on the island (@ 2:19 in the Vidoc).. does it lead anywhere within the rock? i.e. interior rooms? or just the other side of the rock? Also, will all Forge World objects be available for all multiplayer maps? Or will there be map-specific objects? And finally.. are you guys working on any more Forge World variants that will be available Sept 14 that we havent seen? Not all of the Forge World objects are available on all of the maps, mainly due to memory limitations (remember, physical size != memory. Forge World was very intelligently built and optimized to be large but leave a lot of memory free for objects.) But the other maps still have a ton of build potential. When making hemorrhage did you guys keep the travel times (ex walking from one base to another) close to the original blood gulch? In Halo 3 there was an object limit aswell as a budget limit, how many total objects will you be able to place in Forgeworld? Has it been removed and you must now simply stay within budget? The absolute object limit is still there, but it is higher now. I can't remember exactly where we left it, because it really ultimately depended on how much memory we had available. Note that objects originally on the map no longer permanently count against that limit (which is why some clever authors would save and re-use those original objects.) That old bug is fixed. if there was A.I, i would make a huge battle scene in forge world with the covenent spawning in the gulch and you(the humans) spawning in the indoor place with the humans attacking the empty base by falcons and the covenent fighting back. thats a sign for I NEED A.I!!! Hate to burst any bubbles, but Forge is an MP only mode, and that means no AI of any flavor. Sorry! In the Red V Blue video released on Bungie day, there is a portion in the background that is a giant wall. Later in the same video the wall doesn't appear there. I assume this is because of a teaser from Bungie (go figure :D), but my question is there even MORE to this forge world that we havent seen? IE Going down that path we haven't seen yet? If my memory serves me, that wall was blocking off the path out of Hemorrhage, which leads down a tunnel, onto the beach, and across a stretch of shallow water to the Island. All of which is drivable on a land vehicle, of course, and makes for a terrific setting for an epic length race course. can i divert the flow of a waterfall so that i can make a waterslide. seriously i need to know if you can divert/dam the water. For future DLC purposes, is it possible to offer new Forge Worlds built in different environments with new tools (like weather effects) added? It's possible. The DLC guys on H3 added some sweet new stuff like the screen filters and lights, and we hadn't been planning on those. No guarantee that it'll happen, though. Hey ferrex!Do we still have those small scenery forge objects like in halo 3 (unsc backpacks,barrels,camping stool,radio sets...)? the weekly update didn't really answer the question of how deep does water have to be to kill you, because the definition of shallow varies depending on how you look at it. so, can your SPARTAN be fully engulfed in water? or is it to the chest, as in, your head is sticking out. This is more due to our desire to avoid having players hiding under water during MP games as anything technical. ferrex, do grav lifts and mancannons still affect other objects when you're placing them? 1- Can we remake Zanzibar aka Last Resort on Forge world?? 2- Troop hog and civilians vehics we will able to forge them on Forge world? 1. I'm sure someone will do a pretty credible job of it. 2. Unfortunately, the civilian vehicles didn't make the final Forge World palette. Including Forky. On the upside, every combat vehicle did (except the Saber. Forge World is big, but not "outer space" big. Sorry to burst that bubble. In the ViDoc you can clearly see the large Forrunner building in the far distance on the big mountain, is it possible to reach there? Or are there "Return to Battlefield" Borders everywhere? There are analogues of pretty much every Sandbox piece, I believe. I don't have the exact dimensions, though. Multiples of 10' would be a safe bet. ex put a health pack in a cardboard box. I don't see any reason that wouldn't work, but you wouldn't be able to see if the Health Pack was there or not. question for ferrex, in the new forge world and other places when you phase an object through the ground say for example and open container does it still have that big opening or does the ground just fill it up? Ex tunnels under ground... that would be cool if you could. How big is the quarry area (the "small outdoor pocket" above the colloseum) compared to areas we've played on before? Precisely as large as Sanctuary. Will there be different themes for different maps? 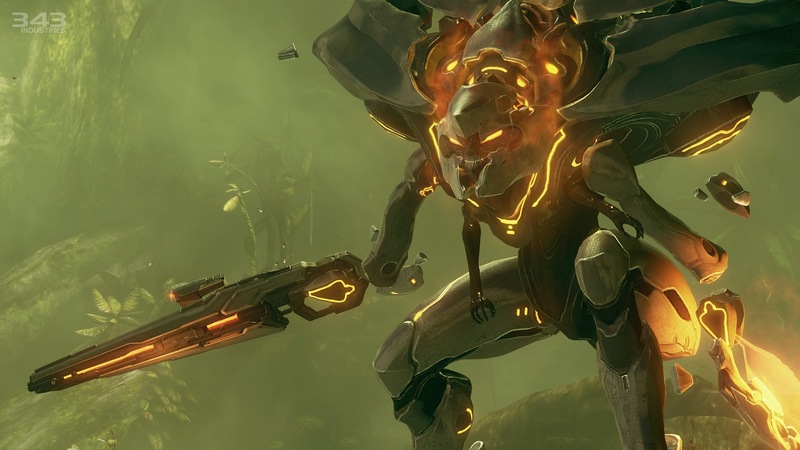 What I mean is will there be covenant scenery in a covenant map, human scenery in a human map, etc..
Generally speaking, yes. There's a lot of shared objects, too. Ferrex, is there any special options we get with the weapons? I.E Halo 3 we could change the amount of extra clips. What is in the Gadgets category? EDIT Another question. Can you change the spawn time of teleporters now? So they spawn later? You can still set the number of Clips for placed weapons. Gadgets contains stuff like Teleporters, Man Cannons, and other toys. And yep, Teleporters can be given a spawn time, if you want to mark one as "Not Placed At Start" and have it spawn in after that spawn time. What percentage of the Forge objects are "movable"? None (or almost none) of the big structural objects. Smaller sandbox objects, like Fusion Coils or Space Crates, can be moved around as long as they're not set to Fixed or Phased physics. How far away can you go out of the main map? Is there a non-deletable death barrier or invisible somewhere out there? Also, does the Forge moniter travel much more quickly now, or is it going to take you a while to travel across the map? There is a non-deletable boundary + soft ceiling barrier, but it's pretty far out there. There's lots of room to build almost anything without bumping into them. And the Monitor's boost has been greatly increased, which allows him to cover the map pretty rapidly. Shish verbally abused me every time I talked to him until we got that in. Ferrex, can we still make SAW maps using powerups? If they're gone, is there something to replace the Custom powerup? Custom Powerups are still available. I think you can even place more of them now. Is the lack of terrain editing because the reach engine wasn't built for it (dynamic lighting and stuff) or just because there wasn't enough time to implement it? Both. Wasn't built for it, and there was no time to change that to implement it. Would sure be nice, though. I loved the mesh editing tools we had on Myth, makes terrain editing a snap. Not this time around, alas. Is the respawn limit for objects increased? i.e. 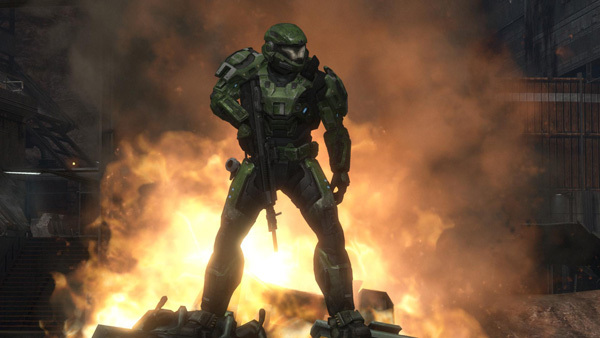 the max time an object would disappear for in Halo 3 Forge was 180 seconds. Has the time increased? Believe it's the same as H3. I don't recall increasing that number. Lil question for ferrex just to specify. I read in the weekly update how lighting was one of the main limitations of Forge World, and Objects within it. Is that why Objects (Other than interactive ones like Vehicles and Flags) don't cast shadows? Technical limitations. Shadow casting is relatively expensive and so we can only do it on so many objects at a time. We find the best use of them is for moving objects, so things like vehicles and flags take priority. If you're only looking structure pieces, though, they will shadow normally. There's also some sweet self shadowing based on a different bit of technical magic that is always applied to them, and really helps make the bunkers and interiors look sweet. Ferrex, just wondering, can we apply colour settings to any vehicle to specify them for, say a teams base? Or does it only apply to mongooses in rocket race? whats the fastest way to get around forge world? Teleporters. But until you've set those up, the Monitor's boost is pretty fast now. Is there a certain limitation to how far an object can be phased into the geometry or other objects? So, could I push a block all the way through the terrain? If so, how would one go about deleting it? Also, could you place an object and fix it into the sky, then set it to normal so that it spawns in the sky and falls? Thirdly, can you take a picture of your creation and set it as the map icon that displays in the pre-game lobby? And yes, objects can be placed in the sky but left with Normal physics so that they fall. Just Mines, Fusion Coils, and their ilk. What's the difference between the vehicle man cannon and the regular man cannon? The vehicle one is quite a bit bigger. Thanks for taking the time to answer our questions, Ferrex. Is it possible to forge "beyond the canyon" in other maps, such as Powerhouse? For example, in theory, could I create an entirely new map beyond the death boundaries of the default Powerhouse map? Is there enough budget to do this? Thread is almost 20 pages long, and I'm only on page 5! Yikes! Going to have to cut it off here, and try to answer questions up to this post. Sorry guys! Ferrex, you're awesome. Thanks for answering questions. How do the rotation snaps and coordinates work exactly? For example, when the rotation snap is to 90 degrees, is the object "un-rotatable" and will say fixed to make it easier to align? I'm having trouble grasping the concept of rotation snapping. Also, what do each option under the coordinates do? I saw pitch, yaw, roll etc and had no idea what it was. Rotation Constraints basically lock the object's orientation (on all three axes) to a multiple of that number. So if you set 90 degrees, then the object will rotate in 90 degree steps. It's really pretty simple once you use it. And under Coordinates, you can directly adjust the rotation on the pitch, yaw, and roll axes too. Makes some things easier, like building curved ramps. Hey, thanks for taking the time to answer our questions. What makes you determine how many of a certain vehicle/object are on a map at once. I saw that you said that only 4 scorpions can be on forge world at once, yet 8 falcons could be on it. Why couldn't their be 10 tanks, for instance, so long as you have the room and budget for it? Different vehicles have different performance profiles. The tanks, for example, have lots of contact "friction" points with the ground that causes them to be relatively expensive. Four tanks, for example, are more expensive in terms of CPU time than 8+ Warthogs. Rendering-wise, they're also a bit more expensive. C'mon Ferrex, is the Covenant Lookout Tower Forgable or not? I don't think it's on the Forge World palette, but it might be on one of the other maps. If not, it's purely a memory related omission--they're cool objects, but all of the maps are pretty much packed up to the memory limit with good stuff. Hey ferrex, what is Forge like on other maps, such as Swordbase? Could I go on to Swordbase and spawn up some crates and ONI black boxes, and maybe delete the mancannon in the centre of the map? I noticed that while playing CTF on Swordbase the lifts were turned off and blocked at the top; was this something done in Forge? In Halo 3 maps with loads of airspace -such as Snowbound- rarely had air vehicles; has this been rectified in Reach? Finally, some people more observant than I noticed a Shade turret in one of the Forgeworld screenshots. Is there a UNSC counterpart? Forge World vs. some of the other maps is really very much like the differences between, say, editing Sandtrap and editing Sandbox. Fewer (but still lots of) options on the normal maps, in exchange for a more unique and custom environment. And sadly, there's no standalone UNSC turret like the Shade. The art for a fixed Warthog turret base was one of the casualties of the late stage cut and polish phase. There are some clever ways to use Warthogs for that purpose, though. Also, i'm sneaking in another one... are power-ups available in forge like custom, overshield, camo etc...? As seen on THIS video, whenever the grabbed object reaches a certain level there is is yellow "pointers" showing up, what is that for? Debug geometry from an internal build. I don't think you'll see those in the final game. Can we spawn non-drivable vehicles for scenery in Forge? Ex: Pelican, Scarab, Longsword. Can you still place normal powerups like the overshield/custom powerup? Do the map effects (juicy, gloomy, etc) have an option to a effect only a part of the map? I noticed some "Camera" looking objects they where above spawns and usually the same color....what are those? Those are the viewpoint you see from while selecting loadouts. Sort of like the pre-game view of the map. Will we be able to restrict editing to the party leader/host only for real this go around, and can we make ourselves actually invulnerable to anything a mere Spartan can throw at us while in monitor mode? I know I'm not the only one who'd love to be able to leave the party and game open while a work's in progress so friends can drop in to give feedback (without having worry about griefing too much). While you can make yourself invulnerable to the puny Spartans, we didn't set up the "Host Editor Only" feature this time around. It was a non-trivial addition, and, well, H3 ended up doing alright without it (man that was embarrassing.) If you want actual trivia, the this Star Wars trivia is awesome. If you drop a ball off of a forge map, does it sit on the bottom floor and do you have to wait for it to reset, or is there a way to actually make a gametype where you can play ball? The Oddballs, Flags, and their ilk now reset when they hit a kill volume. The MP team had strong sauce this time. This is a kind of Forge question. In some videos we can see a new vehicle, like a cross between a wraith and a ghost. And in the vehicle creation menu there a vehicle named Revenant listed. Are these the same? Also (not sure if you're able to answer this) did you guys use a special build of Reach for comic-con to keep unrevealed stuff secret? My favorite thing in the new Forge so far is the remake of Lockout that Shish has been building. It's crazy how close to the real thing he's been able to get it. Is the 'earthquake' effect fixed (where when you rotated on object, saved the map, and reloaded it, it would be rotated slightly differently)? Will all vehicles be available on all maps? You might not think it is a good idea to put a scorpion on lockout, but others might want to. Will there be a decent amount of objects for every map, not just Forgeworld (compare Sandbox to Standoff in terms of available objects)? Forge was pretty glitchy in Halo 3, especially when it came to the objects that originally spawned on the map, have those issues been addressed? Thanks for all the answers, I appreciate it. The "earthquake" (a quantization error) is fixed. All of the maps have a pretty wide selection of objects, but not on the order of Sandbox or Forge World. Maps like that need to be very light on memory footprint to make room for all of the objects, and the main way we do that is cutting down textures and lightmaps, which doesn't work for every space. Most of the issues I'm aware of with objects already on the map (especially their counting against the object limit despite being deleted) have been fixed. Afraid not. It's not how we really intended to handle weapon spawning, so the object respawning logic isn't really built with that in mind. What's the biggest thing that got cut from forge, and why? Will objects that are selected with physics move every time a force is applied, or only when being placed? For instance, I place an object with physics properties, will it continue to move after I place it? Many large (like, structural) pieces will not move once you place it and let it come to rest. Smaller objects, like crates or fusion coils, will move if you set the physics to Normal, but won't move if you set the physics to Fixed. ferrex,are health packs placable or is there a set "wall with healthpack on it" ? In Halo 3, making floors out of multiple objects resulted in a "bump" whenever a player walked on it. Is this fixed in Reach? Are walkways made out of multiple objects smoother? That stuff is smoother now, partly because of how the objects are authored, and partly because you can line them up very precisely using nudges and build a perfectly planar floor. I'm sorry if this question has already been asked before, but are the FX included on every map now? Did you guys test this stuff on split screen? I know merged stuff freaked out all the time and those red and blue lights on sandbox rarely worked on splitscreen in halo 3. Is it possible to designate an object and objective so that you have to get it to a certain place. I'm thinking like football (soccer), you have to get the ball to the goal. Kind of like objective but you don't carry it. Would really depend on the game type. I can't think of a gametype offhand that would let you do this, but stranger things have happened. I like how this thread has gone completely off the topic of "What will you forge" and more into a "Ask Ferrex questions" topic. Anyway, Another question; Did you guys fix that "Ignore the money limit" glitch they they used in Halo 3? I'm not sure it would be need to be used, but I'm curious as to whether you fixed that or left it there for people. I was wondering, The rotational nudges, do they apply to the object's axis, or the map's axis. For example, if you were to rotate an object 30 degrees on x, will this affect further rotations, such as a rotational nudge on y? I would hope they're based on the object's axis, and thanks for answering so many questions. The constraints are on the map/world axes. The smaller constraints can get a little strange when you're rotating on multiple axes, but that seemed like a fair tradeoff to us for the improvement to the much more common case of single axis rotation. 1. If you choose phased, place object in ground, let go, but without picking it up put it on fixed or normal will it pop out. Will there be a limit towards how many credits we can earn during forge? There is a limit per session, but not a lifetime limit. ferrex The grid item, do items snap into place along the lines? No, it's just a visual and physical aid. It's really handy for lining things up though. Lets say I had a boundry set around the canyon, but I have a teleporter that goes to the rock. Could I set a second kill zone there, so the teleporter would be the only usable means of getting there? Yep. You can have multiple Safe Zones, even if they're disjoint. As long as the player is inside one of them, he's Safe. How large is the interior? And how many separate areas/rooms are there in the interior? I think it's around 3x as wide as a Grifball court, and 1x as long. It's pretty large, but there's large wall objects to block off parts. Square walls, floors, and joins too! Yay! In Halo 3 when the lights were introduced in DLC, they were very limited and you could only place 2 In Forgeworld can you place more than 2? Plus can you edit the light radius? Just like a hill? When you enter a Teleporter, do you exit facing the same direction you were walking in? Say for example you were walking in backwards, would you exit facing the receiving teleporter? This was really bugging me and a bunch of players in Halo 3. Yes, teleporters now work this way (instead of the Halo 3 way of always aligning to the receiver facing.) I do worry that this is going to be confusing for novice map authors, but Jon convinced me that it was for the best in the long run. He's your man. If you wanted to forge on a completely flat landscape larger than the coliseum, what would be the best way to approach that? Would you simply forge the ground in the water? Or would it be best to phase ground objects into bumpy terrain and level it out? Probably your best bet would be to use the large wall pieces to create a flat field out over the water, or extend the Coliseum space out. But The Pit might actually fit in the Coliseum. I've never measured, but it seems like it ought to. are you able to place ammo for weapons without placing another weapon? Afraid not. But, what you could do (depending on your game type) is just set the player traits to No Weapon Pickup, and then let the players choose their weapon via a customizable Loadout. Might accomplish what you have in mind. Are we given enough freedom in Forge with dynamic objectives as to assimilate an Invasion map with proper settings? Furthermore, can we force people to be Spartans/Elites for certain teams/roles? You should be able to completely set up (or re-arrange) an Invasion map. And Invasion itself has a bunch of sweet options to change things up too. Can't force teams, though. That's handled by the game type, not Forge. Hello Ferrex, I have a question pertaining to if you can be an elite in forge or custom games? Or if you are forced to be a spartan? Depends on the game. You can be an Elite in Forge though. How many variations of custom powerups are there. Before, we only had the one yellow kind. Is it possible that there's a second or third custom power-up with it's own separate traits? Just the one Custom Powerup I'm afraid. Q: Do you already own a copy of halo reach or do you play forge at bungie hq? I do have access to development builds, though, and I do play around when I have time. Will the target designator featured in Invasion become an item in the forge pallete, or is it limited to just Invasion? It is not limited to Invasion (it's in Firefight too), but it is limited to certain maps. It's not in Forge World, unfortunately. Hey Ferrex, i have a few questions about forge world. 1. In the Vidoc, there looked to be some giant walkway-like structure under the water, is that moveable? It was at about 3:19. 2. At about 4:46, There is someone who looks like he's walking around a sphere or something. Kinda like walking around a small planet. Am I just seeing things or is there some kind of artificial gravity object. (Same thing at 5:05). 3. Also are those red shield things one way shield doors, like on Boneyard on invasion? 2. Just looks like it, there's no gravity changes going on. Hey Ferrex, is the glitch where objects start spazzing out and going crazy still around when you bring objects into tight spaces or near barriers? Kinda sorta. An object with Normal or Fixed physics will act a little squirrely if you try to put it somewhere too small or near a barrier, but a Phased physics object should behave just fine. Ferrex, what is your biggest worry for the Forge mode? Do you expect the Forge community to use Forge 2.0 to it's full potential or barely scratch the surface? I don't think I have a biggest worry. I'm pretty optimistic about what kind of cool stuff is going to happen this time around. And yes, the community will use it beyond its designed "potential", no doubt. The actual potential of the Forge is really pretty much defined by what the community ends up doing with it. I'm seriously tired of asking, and asking really good questions that should be answered, and that not be answered. And then I see someone who says "can man cannons still move things" be answered, and I just about killed someone. I seriously would just like to know if you can create your own death barriers! I've been skipping because it was answered in the last thread. Yes, you can create your own Kill Zones. Ferrex: I have a question about earning credits via forge. So I know from the update you get credits based on the amount of time you are forging but will we earn a nice bonus of credits if our map makes it into Bungie Favorites, and we will received credits for each time our map is downloaded? Basicly, what other ways can we earn credits with forge, if any? In the Comic-con panel video, 2 objects were shown. One looked excactly like the Sniper Tower from Lockout, and the other looked like the BR Tower from Lockout. Are there many other cases were scenery items are chunks of classic maps? Is it possible to set the ending location of a mancannon? Say for example you put the mancannon down, set a marker for where it will make the player land, and choose the maximum height the object / player traveling through reaches before touching down.Sort of like Guardians?? Afraid not. Man cannons are simple throwers of objects, heedless of where they might end up. Real clever, those Covenant engineers. But, there are a few different power levels available this time, so you should be able to adjust your trajectories more easily. Whew, I finally caught up (on page 18) with my cutoff (which I posted when I was on page 5.) That's it for now guys, going to cut it off here because I'm a) starving and b) need to catch up on reading the rest of the thread. Make sure to send your cheers to Urk too. He organized these QA threads! Get your Halo Reach Emile T-Shirts Here! Blood Gulch is back for Reach! Visor Mode. You Can Haz It.